The ocean is an abundant source of inspiration. It’s full of color, texture, sounds and smells. For the past two weeks, the ocean influenced a wide range of projects. 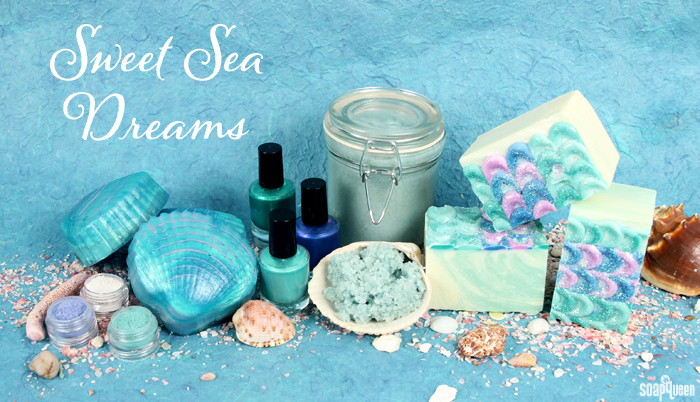 From eye shadow to cold process soap, the Sweet Sea Dreams projects featured plenty of sparkle, aquatic color schemes and fresh scents. 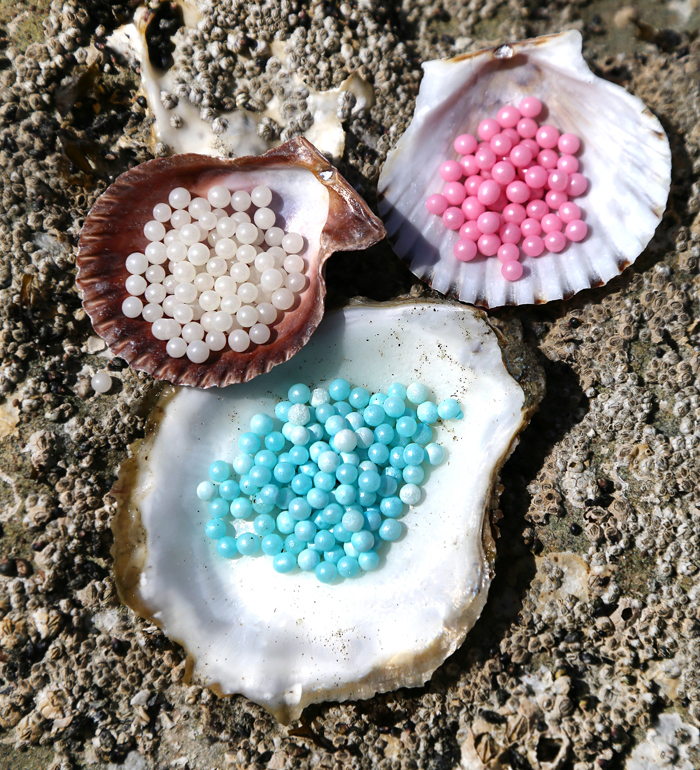 The Mermaid Tail Cold Process was inspired by the colorful scales of mermaids. This project uses the petal technique made popular by Kenna of Modern Soapmaking. A range of oceanic colors create interest, and really make the scales pop. Plenty of Iridescent Glitter is sprinkled on top to give a magical feel. Can’t get enough sparkle and shine? 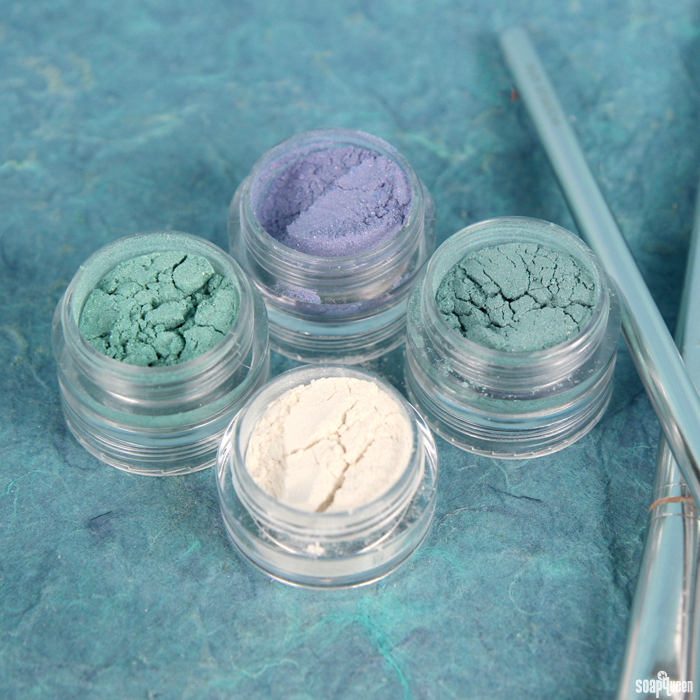 The Mystic Mermaid Eye Shadows create a shimmery makeup look. Full of color, these cool tones are great for a night out or a special occasion. If you’re wondering how to apply these vibrant hues, the blog post also includes an application tutorial. 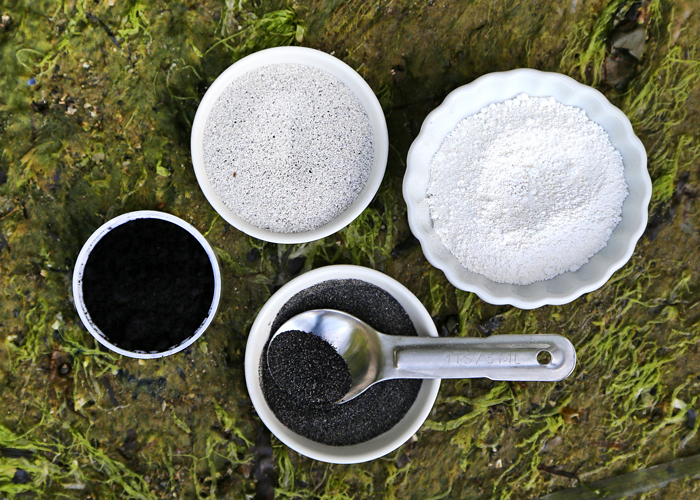 If you have never made mineral makeup before, check out this Soap Queen TV video to learn how. It’s incredibly easy and fun! 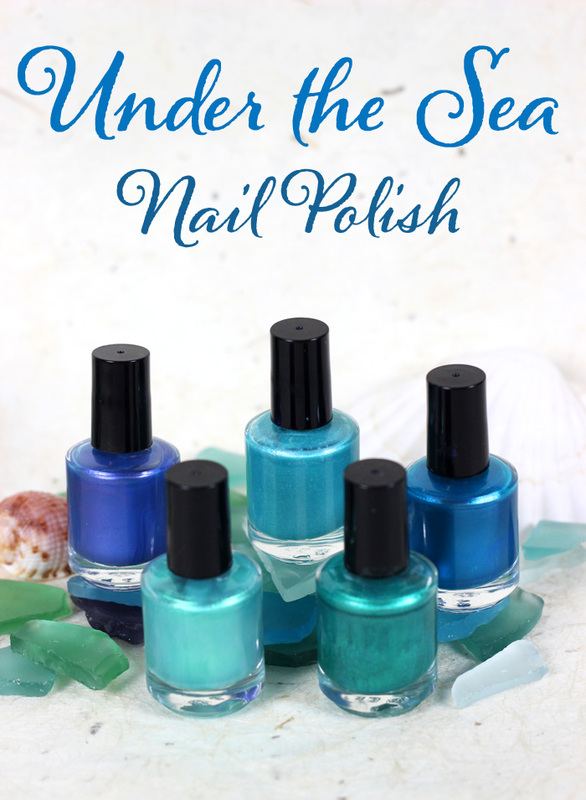 The Under the Sea Nail Polish Collection on Tumblr completes your mermaid inspired look. 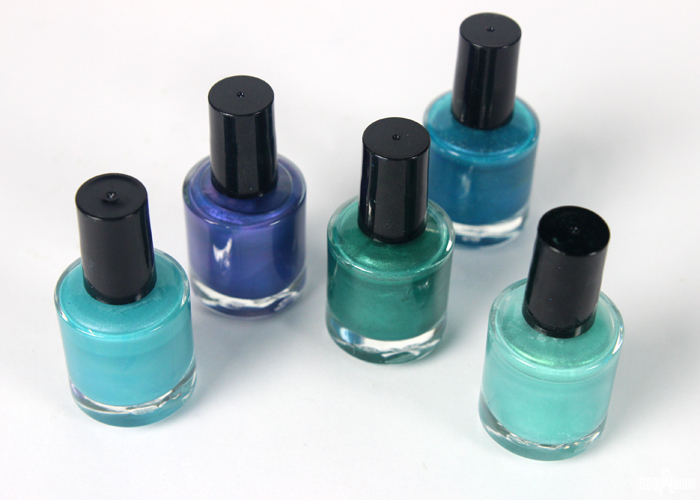 With five colors to choose from, these shimmery polishes will make you feel like an underwater maiden. Creating nail polish is incredibly easy; simply add the colorants and glitters to the Suspending Nail Polish Base and shake! To learn more about making unique nail polish shades, check out the Talk It Out Tuesday: Nail Polish blog post. Crazy about the blue and green color palette? 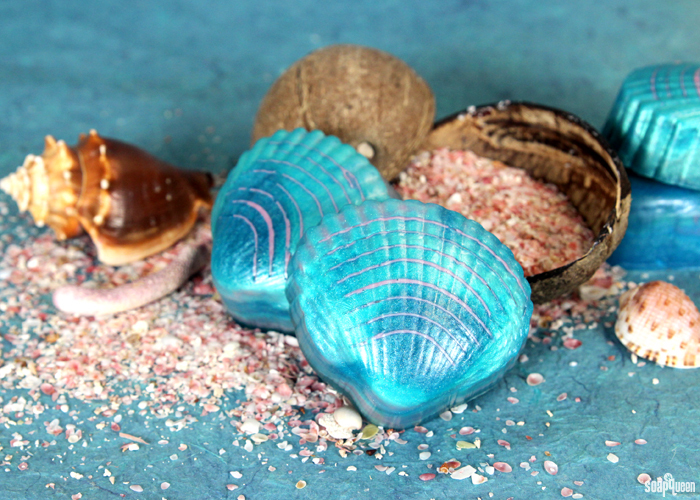 The Mermaid Shell Melt and Pour soap features beautiful blue tones created with the Cellini Blue, Aqua Pearl and Opalescent Turquoise Micas. 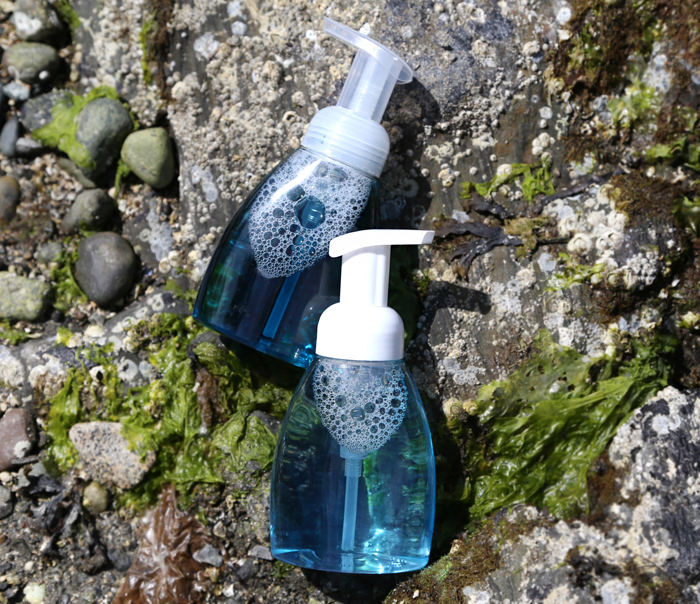 This project is a spin on this Clam Shell Soap Queen TV video. To create the textured clam shell look, a fork is used to create lines into thin layers of melt and pour. The result is soap that’s both realistic and eye catching. 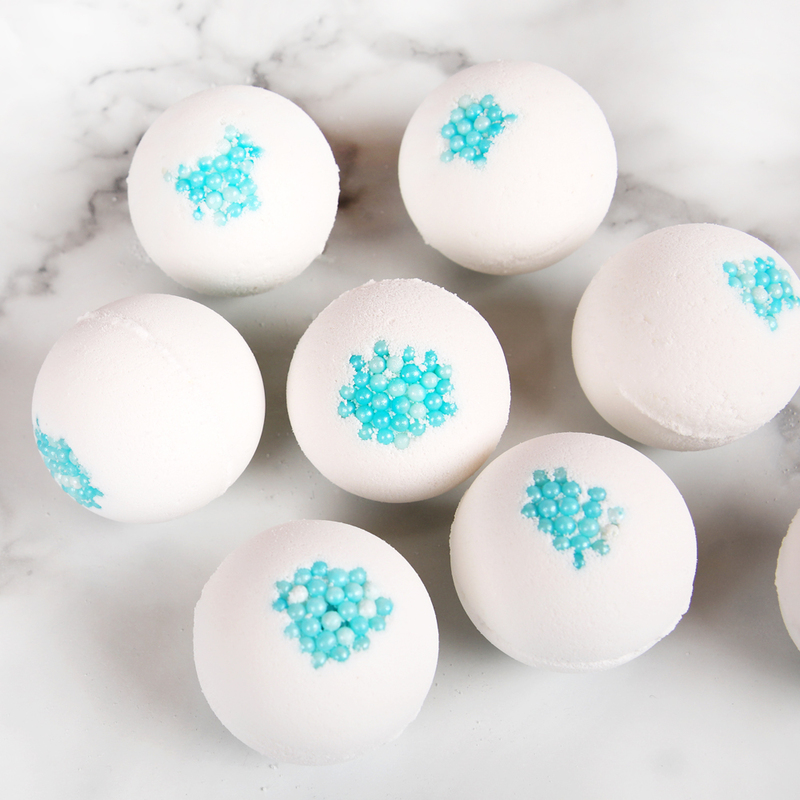 Crisp Cotton Fragrance Oil gives these soaps a slightly sweet, clean scent. 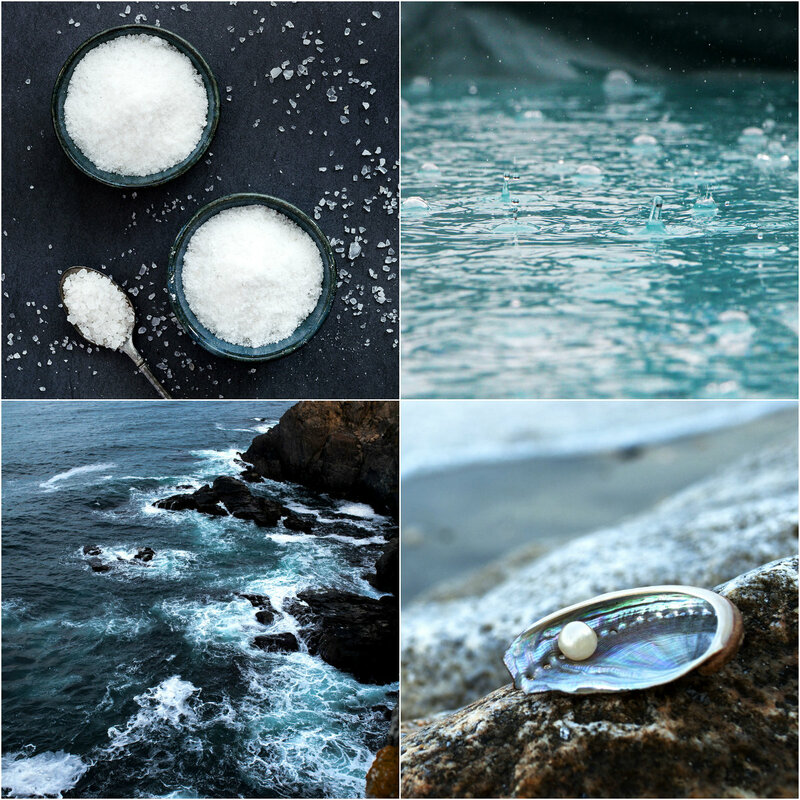 Crisp Cotton Fragrance Oil is also used in the Shimmer Sea Salt Scrub. The combination of skin-loving shea butter and coconut oil create a smooth, spreadable texture when applied to the skin. 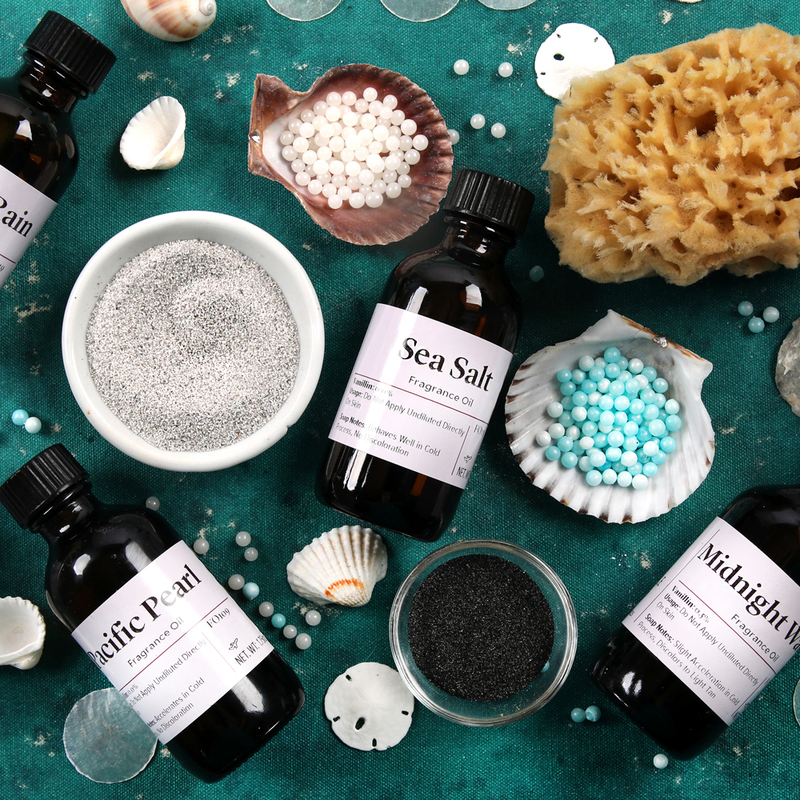 Fine grained dead sea salt removes dead skin, leaving skin feeling silky soft. The addition of Gold (light) Mica adds a subtle shimmer. 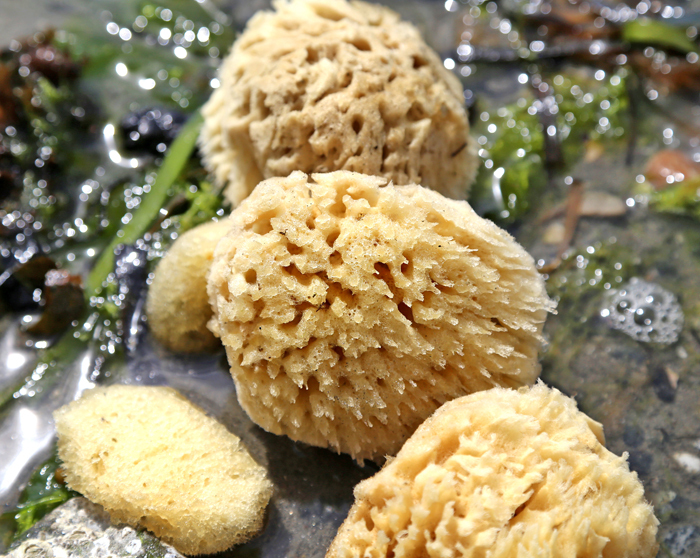 Looking for even more aquatic inspired projects? The Stormy Seas Cold Process uses embeds and layers of color to create a oceanic landscape. 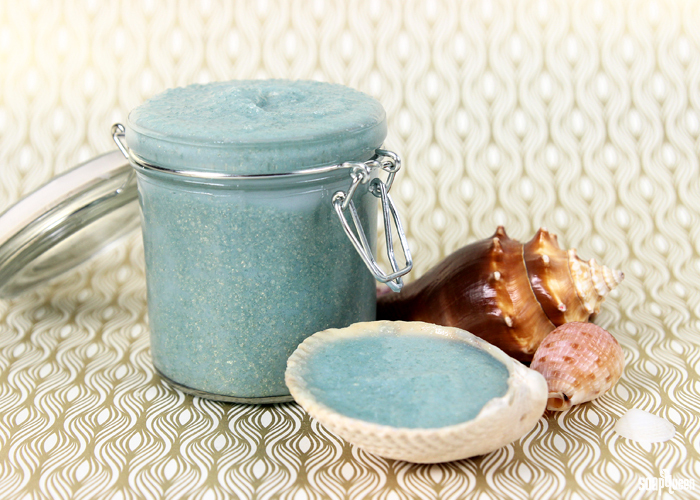 The Sea Clay Swirl Cold Process features sea clay and pink sea salt for exfoliation. Melt and pour embeds and plenty of glitter creates the look of stained glass in the Shimmering Sea Glass Cold Process. 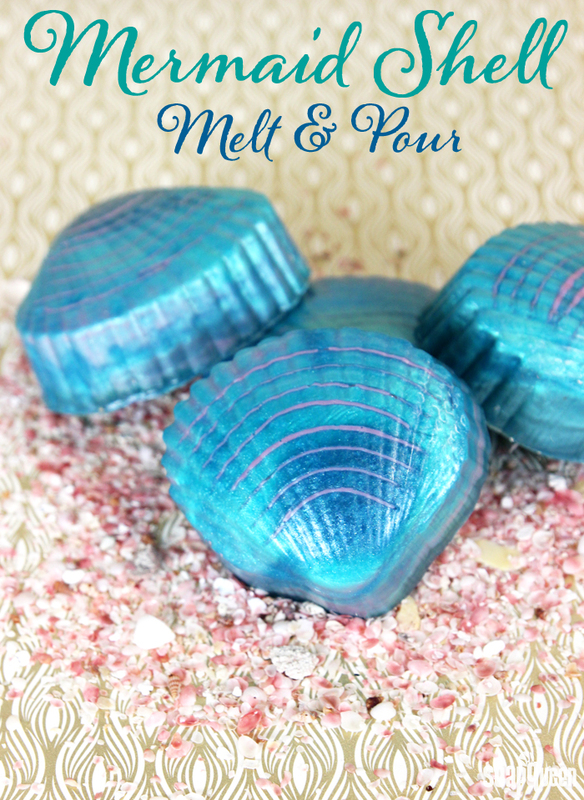 If you prefer working with melt and pour, the Inspired by the Sea melt and pour project creates guest sized sea shell soaps. 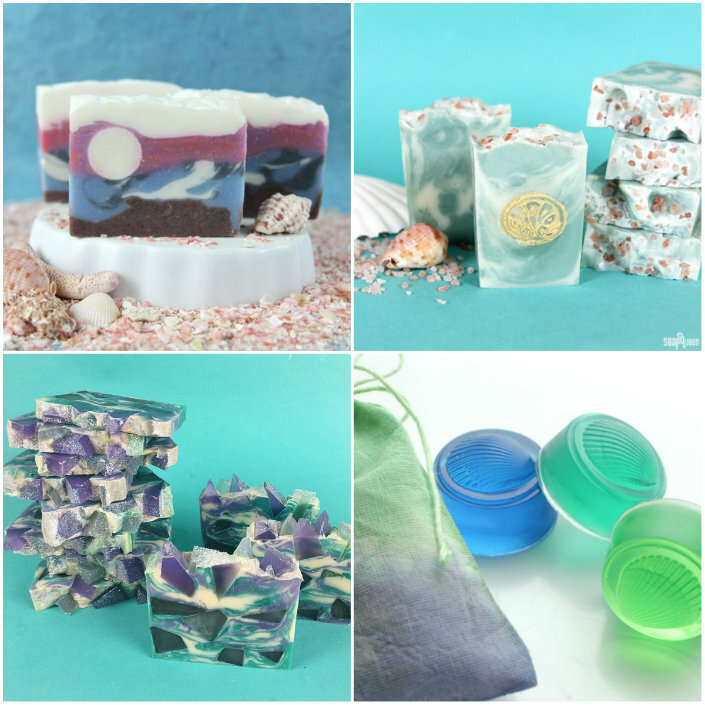 Have you created a ocean inspired soapy project? I would love to see a photo on Instagram, simply tag your photo with the hastag #SoapShare. Doing so also enters you into a weekly contest to win a Soap Crafting Book! You can also share your photos on the Bramble Berry Facebook page. When you think about mermaids, what comes to mind? 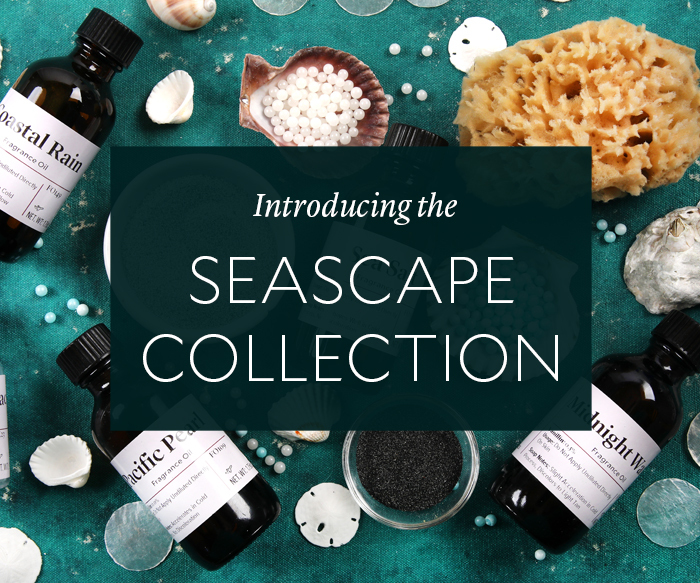 I think of the ocean, sea shells and a shimmery color palette of aqua, purple, gold and green. 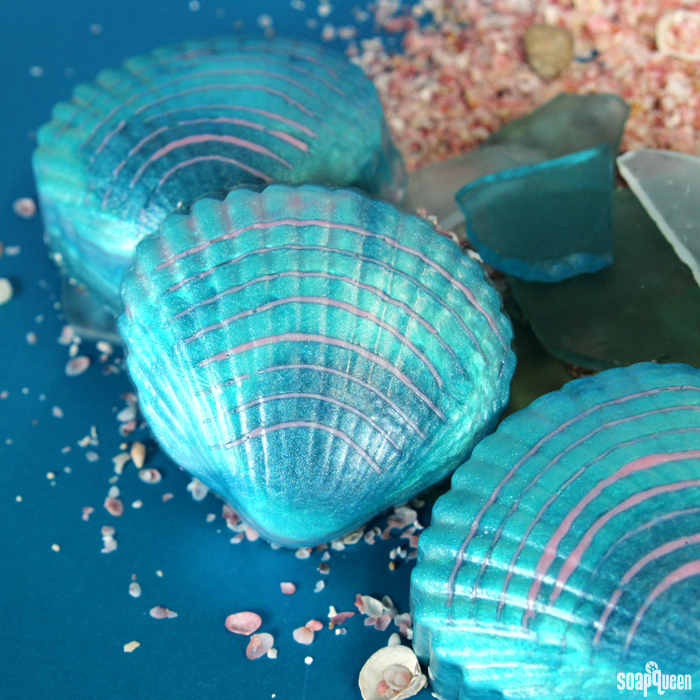 This Mermaid Shell Soap features plenty of shimmer in an adorable clam shell mold. Scented with the new Crisp Cotton Fragrance Oil, this soap smells of sea berry, rosewater and starfruit. 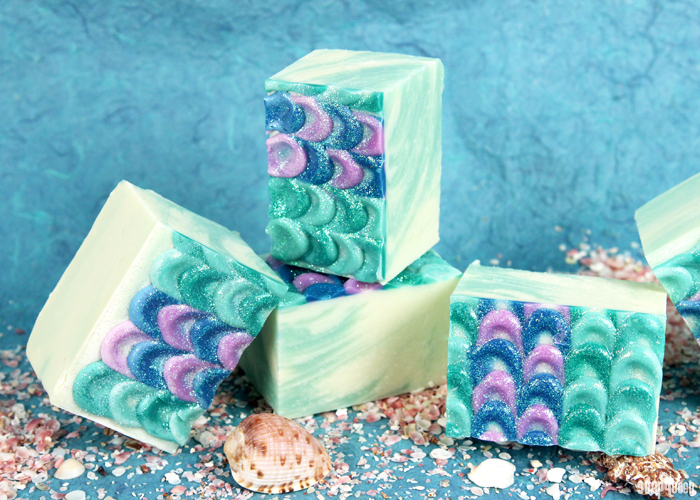 This project is a spin on the Clam Shell Soap Queen TV video (shout out to Paula from PJ’s Soaps for her amazing creativity!). First, thin layers of color are poured into the mold. A fork is used to create lines within the soap, giving a realistic clam shell look. The seasons are changing, and one of the best indicators of that is the stormy grey skies that have blanketed Bellingham Bay. White caps may have replaced gentle waves, but that inspired us to create this ocean-hued melt and pour project. 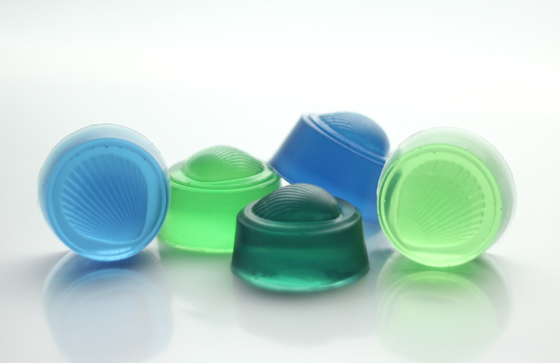 We took inspiration from sea glass, with its transparent blues and greens. To achieve these beautiful gem tones, we used Bramble Berry LabColors, which are super concentrated dyes. Using the same LabColor soap dyes, we created matching muslin bags for packaging the soap. It’s two projects in one! Click here to add everything you need for both projects to your Bramble Berry shopping cart! Remember, you can always remove items you don’t need. COLOR PREP: You’ll use LabColors in both parts of this project. 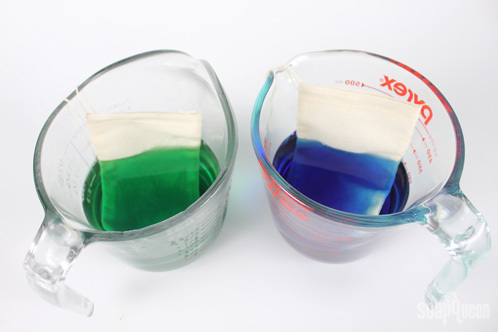 Unlike other colorants, LabColors must be diluted before use. If you’ve never diluted LabColors before, click here to learn how. ONE: Cut the Clear Melt and Pour Base into 1-inch cubes. Melt in a heat-safe container on 30 second bursts in the microwave, stirring between bursts, until the soap base is fully melted. 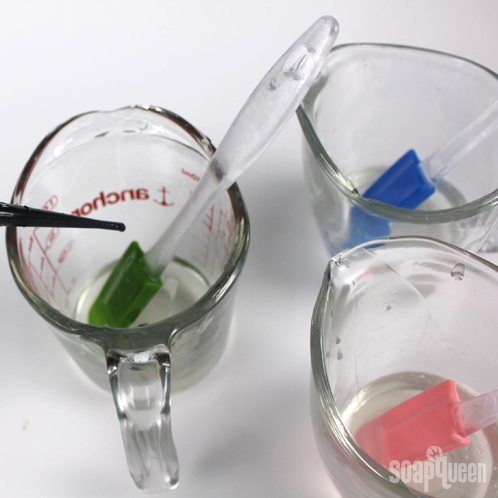 TWO: Split the soap base into three batches: two weighing 2.3 ounces, and one weighing 1.5 ounces. 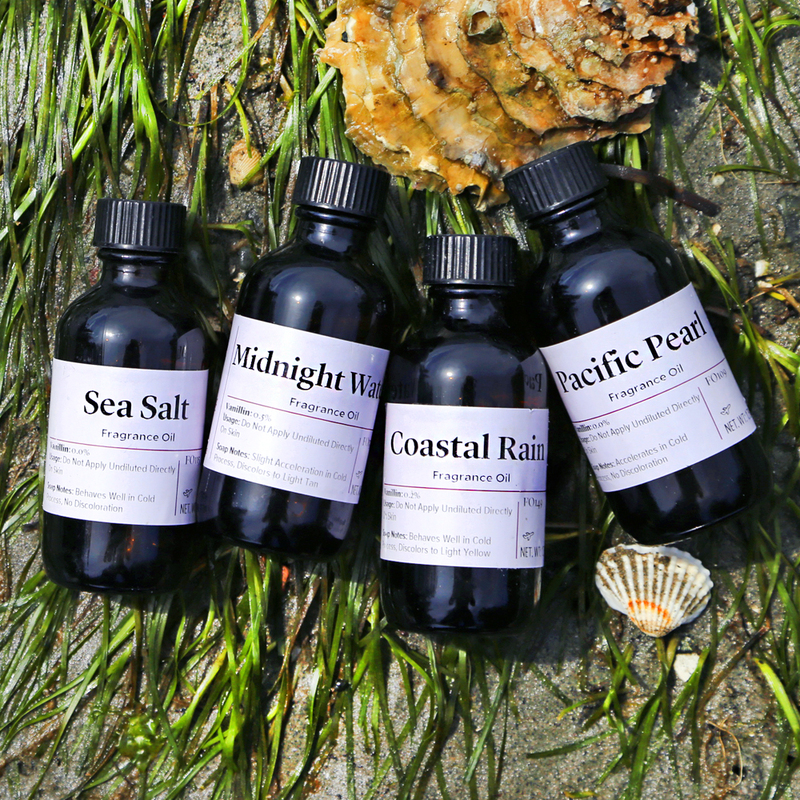 THREE: Add the Kentish Rain fragrance oil to the split batches: 1.5 mL in each of the 2.3 ounce batches, and 1 mL in the 1.5 ounce batch. Stir in well. 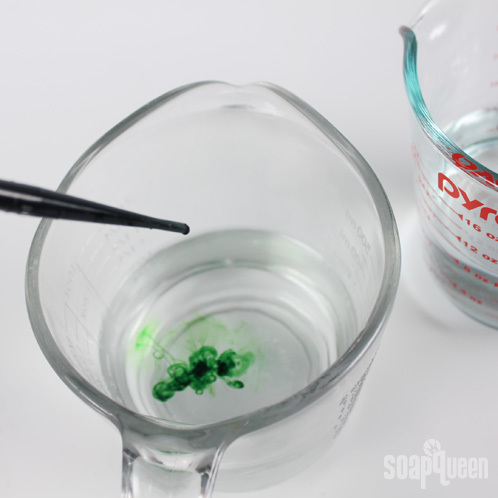 FOUR: To one of the 2.3 ounce batches, add 9 drops of diluted Emerald LabColor. To the second of the 2.3 ounce batches, add 12 drops of diluted Sapphire LabColor. To the 1.5 ounce batch, add 3 drops of diluted Emerald LabColor and 5 drops of diluted Sapphire LabColor. Mix the soap well. 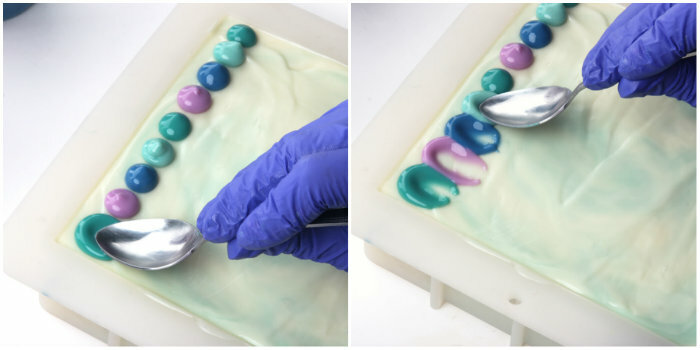 FIVE: Pour each colored soap batch into the Shell Wax Tart Mold. The Emerald and Sapphire soaps will each fill three cavities, while the blend of Emerald and Sapphire will fill two of the cavities. 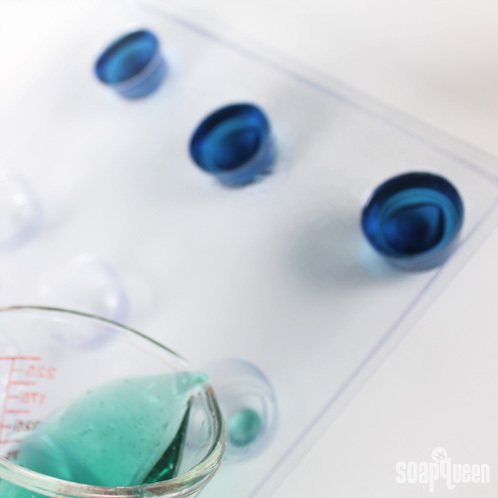 SIX: Spray the soap with Rubbing Alcohol to eliminate any bubbles and allow the soaps to fully harden. SEVEN: To avoid ‘sweating’ or ‘dew drops’ forming on the soap place a few finished soaps in a ziplock baggie before placing them in the muslin bags. 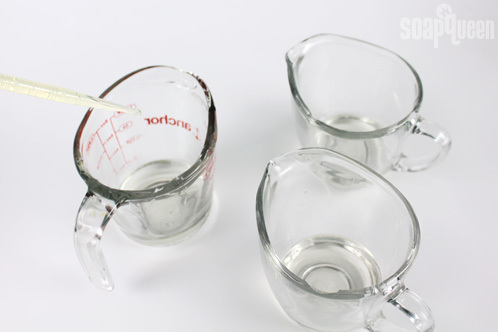 ONE: Fill two heat-safe containers with 8 ounces (by volume) of water, and one container with about 8 ounces (by volume) of vinegar. TWO: Set the muslin bags in the container of vinegar to soak. FOUR: Microwave the dye baths for about a minute or until the liquid is warm, but not scalding hot. FIVE: Remove the muslin bags from the vinegar soak and squeeze to remove excess vinegar. 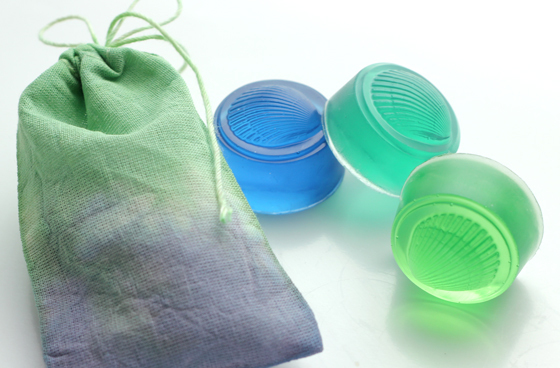 SIX: Dye the bags by dipping them into either the Emerald dye bath, the Sapphire dye bath, or a combination of both. Three fun techniques that I used are Tie Dye, Two-Color Transition and Ombre. Two-Color Transition: Dip half the bag into one color. 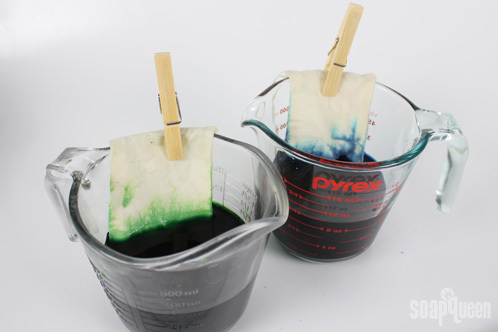 Use a clothespin to keep the entire bag from falling in the dye bath. After a few minutes, remove the bag from the first color, flip and dye the other half of the bag in the second color, allowing the bag to sit in the bath just low enough for the water level to touch the line where the first dip dye ends. 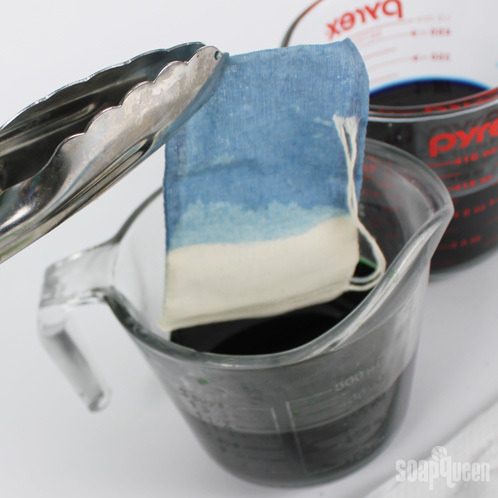 Ombre: Dye 1/3 of a bag in one color, using a clothespin to keep the rest of the bag out of the bath. After a few minutes, change the bag’s position so that a bit more of the bag is submerged. Allow to sit again for a few more minutes, then submerge the entire bag. Tie-Dye: Use a rubber band twisted around the bag to create a pattern. Dye the bag in a single color for a gradient look, or in two colors for a multi-faceted look.